Butterflies, along with plum and cherry blossoms, willows, and snow, were all very popular topics for Haiku poets. This translation is by R.H Blyth (1898-1964) one of the greatest Haiku scholars. Superb close up christine very fitting to the words!!! V.
ps: fabulous details, wonderfully done!! BRAVO!!! Excellent choice for the challenge!!! Lovely poem with the perfect image. Nice! Perfectly paired image and verse! 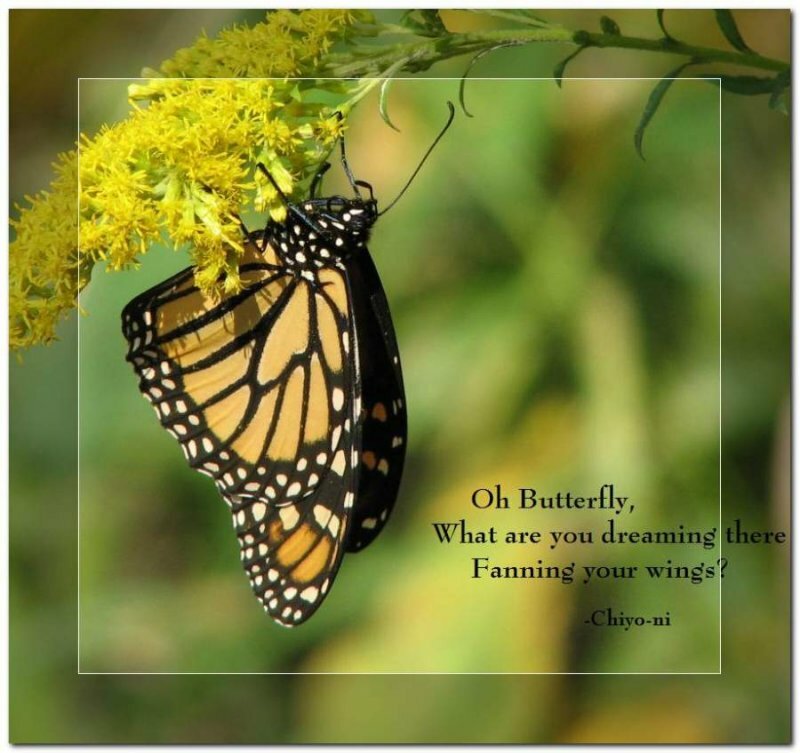 Wonderful capture of the butterfly & ideal apt words! A beautiful choice to match this very pretty poem...well done & welcome to the challenge. Beautiful image with these details and depth of field, and a nice haiku too. Well done. A great entry for your first challenge. Glad you joined us. "V"